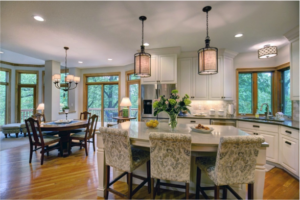 If you are planning a kitchen remodel, the topic of an island has most likely been discussed. As with many of our kitchen remodels, the island is a very important design discussion. The size of your existing kitchen will depend on the size and shape your island. Perhaps an interior wall could be removed to make space for the island. An example in this Edina home, we removed an interior load bearing wall, and a placed 32-foot beam to make room for this island. In doing so, it also opened up the floor plan for this growing family. 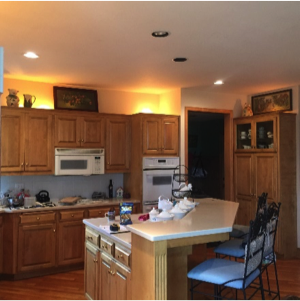 For this Edina home, we removed one load bearing wall, and one non-load bearing wall. Yes, it was an added expense for our clients. However, in the end it was well worth it. An Island of this size allows for room for people to gather, as well as creates additional storage and seating. Not to mention a great place for food prepping. In some cases, the island changes shape for better function. Like in this Eden Prairie kitchen, the island was originally triangle shaped? This shape was not conducive to sitting at or working at. Maybe your needs are different, and its main function is having plenty of space for your friends and family to gather at? Or another design option is storage, or a space for a microwave, and possibly a range top, and a prep sink. Along with plenty of seating, functional storage is vital when completing any kitchen remodel. The day of putting the microwave above the stove is long gone. The island is a perfect spot for the microwave, or a microwave drawer. This allows easy access without happening to lift items over your shoulder to access the microwave. Your island is also a great way to update the look of your kitchen. You do not need to be the same color as your perimeter cabinets, or even the same wood species. Another piece of advice, seek out a professional contractor to work with, like an interior designer for a well thought out space plan and design direction. · Function, the island must function for you. · Storage, in most kitchens’ storage is needed. · Style, it needs to look good and provide your kitchen with something special. 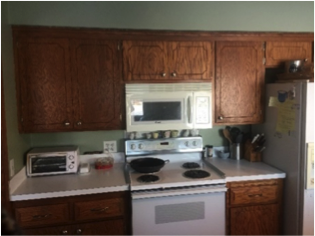 Give Excel Builders a call for your next kitchen remodeling project. 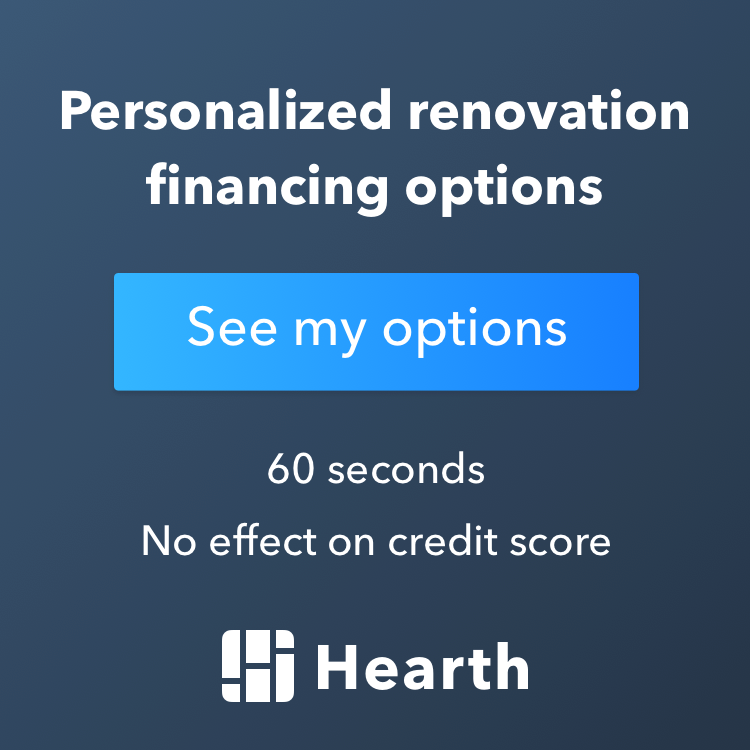 Call us at 612.524.5804.